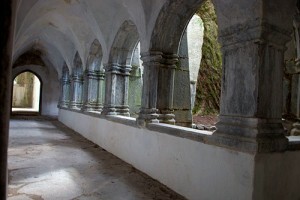 Kerry Gems Muckross Lake Loop walk is a moderate scenic stroll near Killarney. Dog Friendly: Yes but dogs must be kept on a leash. Car Parking: You can park in the Muckross House car park. Before you start: Start from Muckross House, only 6km/3.6mi from Killarney town centre, along the main Kenmare road (N71). The Muckross Lake Loop involves a climb up a long stone staircase, but is suitable for all ages. 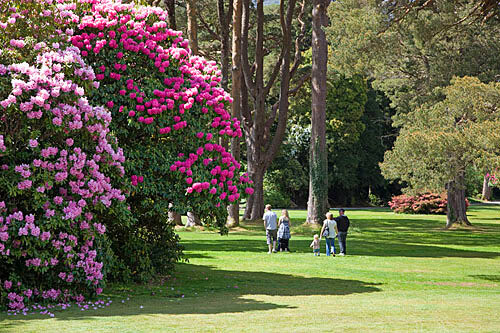 Starting and finishing at Muckross House, the walk involves a minimal amount of climbing and include visits to the beautiful formal gardens and historic buildings of the Muckross Demesne. 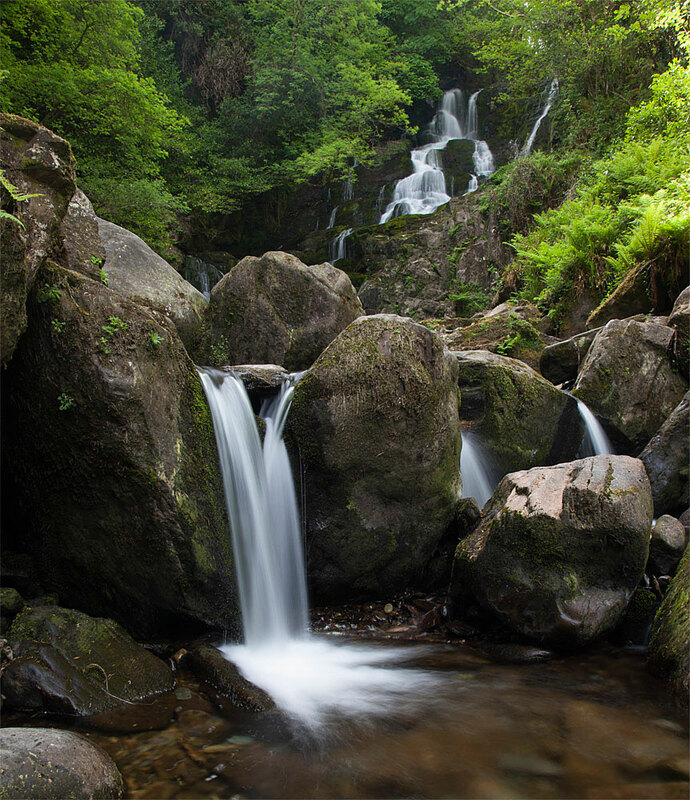 You also have the option of adding the Torc Waterfall Walk to your route if you wish but be advised it will increase your total distance by another 4.5km and add at least 2 hours onto your journey. History to know: Killarney National Park was established in 1932 to protect one of Ireland’s most precious natural habitats. Beneath the wild, rugged summits of the country’s highest mountains, it encloses a beautiful sylvan landscape of ancient woodland, spectacular waterfalls and quiet lakes. look out over Lough Leane and Muckross lake. Or continue for a few more minutes to Dinis Cottage, an old hunting lodge now a café. From here you can continue walking through the lakeshore and back to Muckross, or travel by boat back to Killarney. A to B: Make your way along the signposted route from the 19th century Muckross House, stopping off to discover the traditional working farms and afterward descending down to Muckross Abbey. 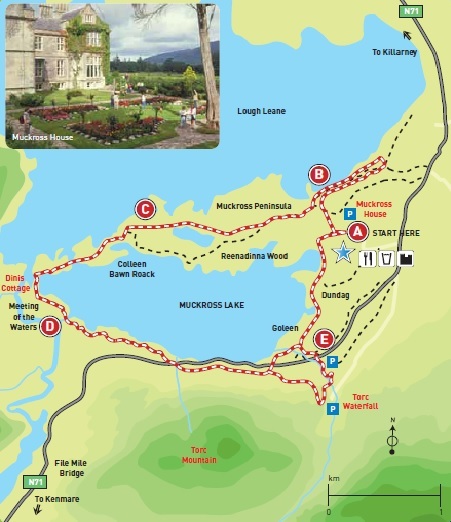 B to C: The trail then brings you to Muckross Peninsula, with the spur of the land separating the Muckross Lake from the larger Lough Leane. Here, you enter Reenadinna Wood. Carpeted by moss and ferns, it’s worth watching out for red squirrels and the majestic red deer. 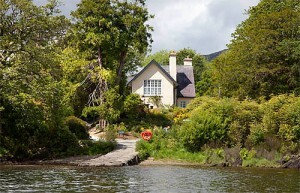 C to D: At the western end of Muckross Lake is the 200-year-old Dinis Cottage. You can grab refreshments here before heading behind the Cottage to a short path leading to the Meeting of the Waters – where Killarney’s Upper Lake flows down to join the lower loughs. D to E: Lakeside tracks and wooded paths lead you back to Muckross House. Shortly before you arrive, an optional side-trip leads to the top of Torc Waterfall, but this 4.5 km circuit can also be tackled in its own right. E back to A: Known locally as “Springfield” this pleasant path runs parallel to Muckross Lake and the lovely sandy Goleen Bay which is popular with bathers. Also one can see the distinct and fully black breed of the Kerry Cow grazing in the fields which is unique to the Muckross Estate and County Kerry. The path runs all the way to Muckross House with the option of visiting the magnificent Sub-Tropical gardens.